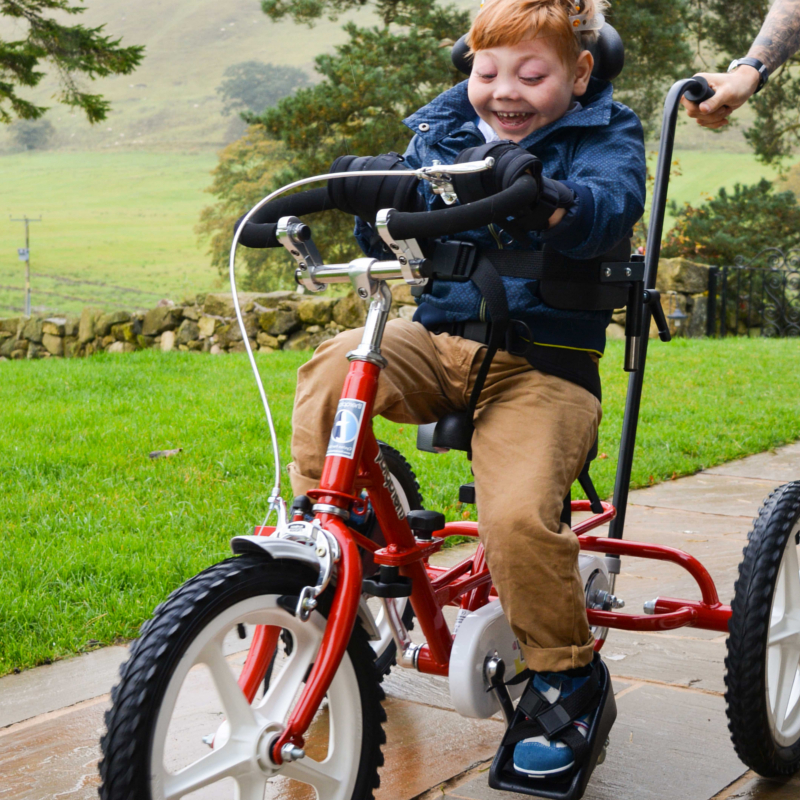 The Terrier combines a modern style design with comfort and safety features that are sure to enhance a child's strength, self-esteem and FUN! The Terrier's stability is built into the frame with a low center of gravity and a broad wheelbase, helping to prevent tipping. An adjustable steering stop is another stability feature the Terrier offers to help control the turning circle of the special needs tricycle. 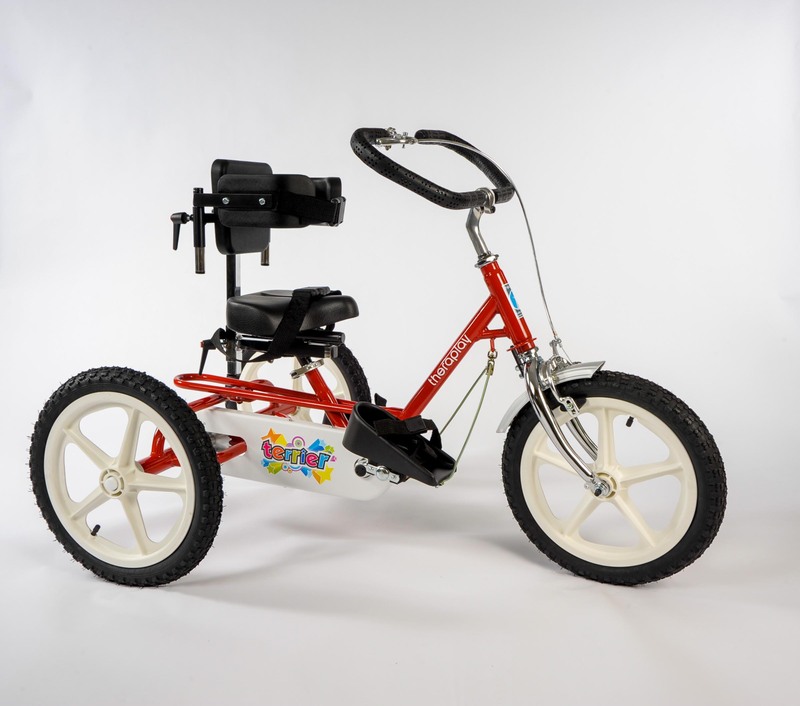 The Terrier is a rugged trike for children from 4 1/2 years. This model has 16" Wheels and a caliper brake with a parking brake mechanism. A frame folding option is available.